When an ancestor doesn’t do the expected, or it appears that at best they made a decision that seems truly insane, perhaps a look at the laws for this time period is a good idea. The answers to some of the insanity may be buried in legislation books. Genealogists and family historians should never complete the story without the facts. And a few minutes reviewing the laws of the time, especially in America history from the Colonial Period up to the Reconstruction era may explain it all. Did You Know In Colonial…? 1683 Pennsylvania: a law united Pennsylvania with the lower counties (Delaware) and allowed for naturalizing the Swedes. All freemen were made citizens and all Christians were freemen, except servants and convicts. 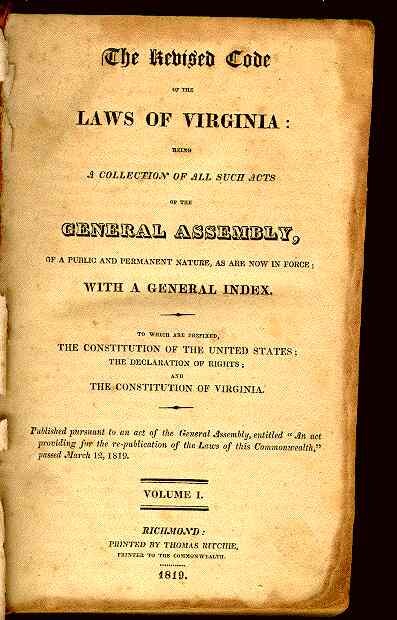 A similar law was repealed in Virginia and baptism no longer exempted you from slavery. 1670 North Carolina: marriages were few before 1670, so our ancestors may not be in the church records. Why? Only ministers of the Church of England were entitled to perform the rite of marriage before 1670, and few visited or settled in Carolina. 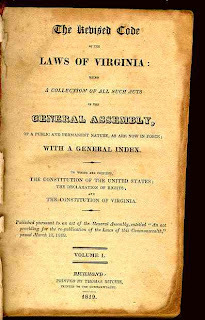 As a result, An Act Concerning Marriages (1669) was ratified by the Assembly of Albemarle to perform marriage ceremonies. 1700 Massachusetts: June a law passed ordering Roman Catholic priests to leave the colony within three months, upon penalty of life imprisonment or execution. New York passed a similar law. Between 1855 and 1922 the law stated that an alien woman became a citizen automatically if she married a native-born or naturalized citizen. After 1922, a married woman alien had to obtain naturalization on her own. Former black slaves were made citizens by the ratification of the Fourteenth Amendment to the U.S. Constitution in 1868. Expedited naturalization proceedings have been available to aliens who are Army veterans, since 1862; Navy veterans, since 1894; and wartime enlistees, since 1918. Statutes during World War I and the permitted naturalization proceedings to take place abroad. This law was also instated during the Korean War. Free coloreds were not created equal in the Gulf South. Free Coloreds classified as Creoles were granted more privileges and rights than other free coloreds in the south. This encouraged fair skinned coloreds (not all mulattoes) with an aire of an “uppity” class to blend in and migrate to Alabama and Florida. However, these rights were soon ripped and your free-colored ancestors may have been on the move again. 1833 Alabama recognized “Creoles of Color” and granted them advantages not otherwise afforded by “free coloreds.” This could explain why a free-colored ancestor would have migrated to Alabama. One advantage was education privileges that “colored children” were not granted. Free Creoles' rights were stripped beginning in 1840, and enforced by 1850. 1857 Pensacola Florida Free Creoles voluntarily exiled to Tampico due to local legislation that stripped them of their “civil” rights."